Breathtaking views from this amazing unit on the sand. Marble flooring, updated kitchen has granite, Miele washer & dryer,Bosch dishwasher, wine cooler & tumble marble back splash. Both bathrooms have been beautifully updated, closets are fitted and master has additional closet. 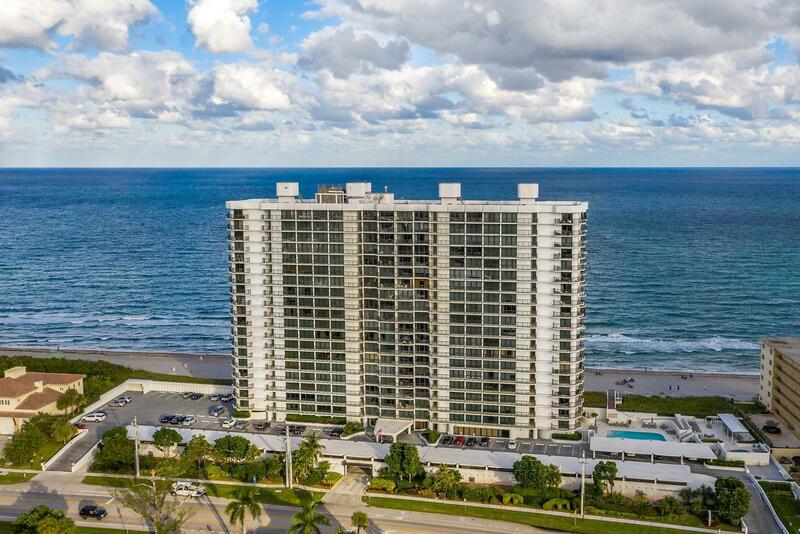 This rare unit has a private balcony on ocean & off master overlooking the city & Lake Boca Raton. Impact windows, hurricane shutters & a premium garage space near elevator is a bonus. This first class building has been remodeled to perfection with 24 hour security in lobby, gym, tennis courts, marina, pool, hot tub, grill area, social room, library & chaises on the sand. Walk to restaurants & more.